Little known fact - aside from his various paintings, installations, sculptures, and other projects - Cody Hudson designed The Cool Kids logo - true story. Cody is a Chicago based artist who also serves as owner and creative director of the design firm Struggle Inc. Known for the production of clean, multi-dimensional graphics, his design aesthetic is part urban modernism and part organic visual deconstruction. His graphic work and paintings have been exhibited throughout the US, Europe and Japan including the Museum of Contemporary Art (Chicago), New Image Art (Los Angeles), Rocket Gallery (Tokyo), The Lazy Dog (Paris) and Andrew Rafacz (Chicago). Cody’s work has been featured in numerous magazines and publications including IdN, Arkitip, Anthem and Juxtapoz. 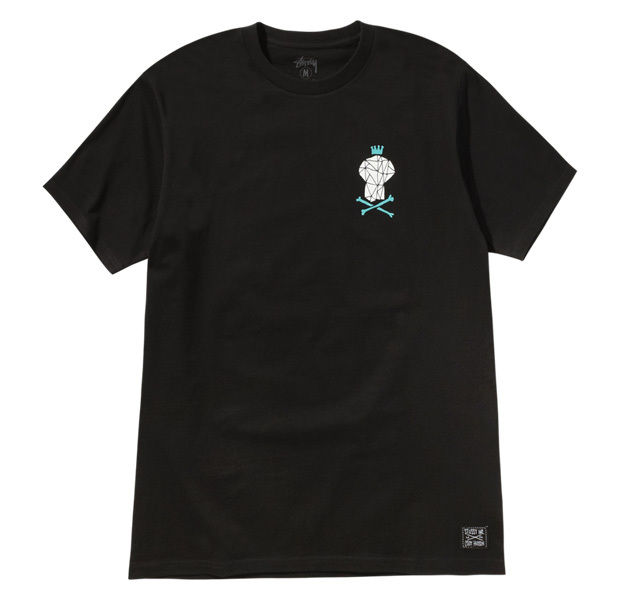 The Stussy x Cody Hudson tee shirts are available now at Stussy.com and Stussy Chapter Stores. Nice video of Cody's process in action, in addition to my favorite shirt from the collection, after the jump. Stussy - Cody Hudson from Stussy on Vimeo. The other shirts feature more of Cody's art - but I'm partial to the minimalistic chest patch logo - always brings me back to the classic surf shirts from the 80's and 90's.